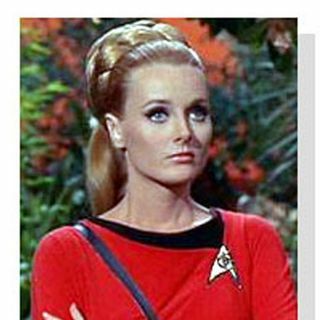 Celeste Yarnall is an amazing woman of many talents who has been very successful in a diverse number of fields. There appears to be nothing she cannot do when she puts her mind to it. Apart from her initial career as model, spokesperson and actress, Celeste has also managed several talented screenwriters, segued into the commercial real estate business, become a championship Tonkinese cat breeder, run her own successful company, hosted a radio show, produced a "How to" video and ... See More regularly appears as a speaker/lecturer. At a time when many people would be thinking of an easier life, Celeste studied for and received her Ph. D in nutrition in 1998 and now serves as adjunct professor of nutrition at the Pacific Western University. In addition, Celeste has written two best selling books: 'Natural Cat Care: A Complete Guide to Holistic Care for Cats', and 'Natural Dog Care: A Complete Guide to Holistic Care for Dogs'. As a model and actress, Celeste was renowned for her beauty and very becoming figure, being named the Foreign Press' Most Photogenic Beauty of the Year at the Cannes Film Festival in 1968. She was also the National Association of Theater Owners Most Promising New Star of 1968. Celeste is currently featured as Miss April in Cedco Publishing's popular wall calendar for 2002. The April 2002 issue of 'Femme Fatale' magazine also features a detailed article about Celeste. For Elvis Presley fans, Celeste is remembered as "Ellen", the beautiful young woman Elvis romanced with the song, "A Little Less Conversation", in the film, Live a Little, Love a Little (1968). As Elvis fans know, the track was recently re-mixed by progressive music producer/DJ, Junkie XL, and is currently topping charts around the world. As one of the "swinging chicks of the 1960s", Celeste was not only interviewed by Thomas Lisanti for his fascinating book, "Fantasy Femmes of Sixties Cinema (Interviews with Twenty Actresses from Biker, Beach and Elvis Movies)", but an eye-catching photograph of her was also used for the front cover. Celeste lives and bases her health care practice for cats and dogs in Los Angeles and lives in her new home in Westlake Village.